Visit the referral page and either sign into your account or create a new one (you can even sign in via Facebook or Twitter). Once logged in, click the ‘Refer Now’ buttons to refer your friends either to EMP or the EMP Backstage Club pass. You’ll find various methods to share your code, or you can simply copy & paste it. You can also choose whether you want to keep the whole £10 reward, split it between you and your friend or gift them the whole thing. Your friend will receive a 15% discount code, if they then go on to make a purchase you’ll get your £10! Get hold of your friend’s referral code or provide them with your details so they can send it on. After entering the code/following the link you’ll receive a 15% off discount voucher. Once you’ve received this, place your first order to unlock your referring friend’s £10 reward. If you’re especially lucky they might split or even gift the £10 with you. 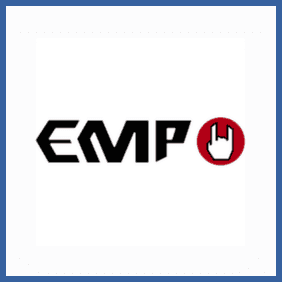 EMP are Europe’s largest and no.1 store for TV, Gaming, Movies & Music apparel and official Merchandise as well as alternative clothing. Sign up for a referral account and you can get £10 for every new customer you sign up. Your new friend’s will get a 15% discount code and, if you’re feeling especially generous, you can also split the £10 bonus with them (£5 each) OR give them the whole thing!